As some of you may have heard, I’ve finally got my hands on a piece of a land and now when I’m finally able to get my hands dirty I’m faced with the reality of my shallow, compacted, alkaline and sometimes waterlogged for months soils. This has come as a huge disappointment as I had big plans for annual gardens, food forests and perennial grasslands. After taking a deeper look into this subject, I began to realize that, in essence, my only two options are importing good soil (not going to happen!) or improving the soil I already have. The latter offers me the chance to regenerate the soils and actually learn something about soil and soil biology, so I’ve now embraced the challenge. Something fascinating I learnt while reading up on the subject is that there are more microorganisms in a teaspoon full of healthy soil than there are people in the world. When we add in earthworms, nematodes and other soil life we can see that there is much more to soil than we realize looking down from above. This kind of biological richness is something that we in permaculture should try to replicate in our gardens. But what I’ve learned is that emulating a grassland is different than emulating a forest, and for this reason you first have to be clear on which ecosystem you’re trying to copy. Here is why. 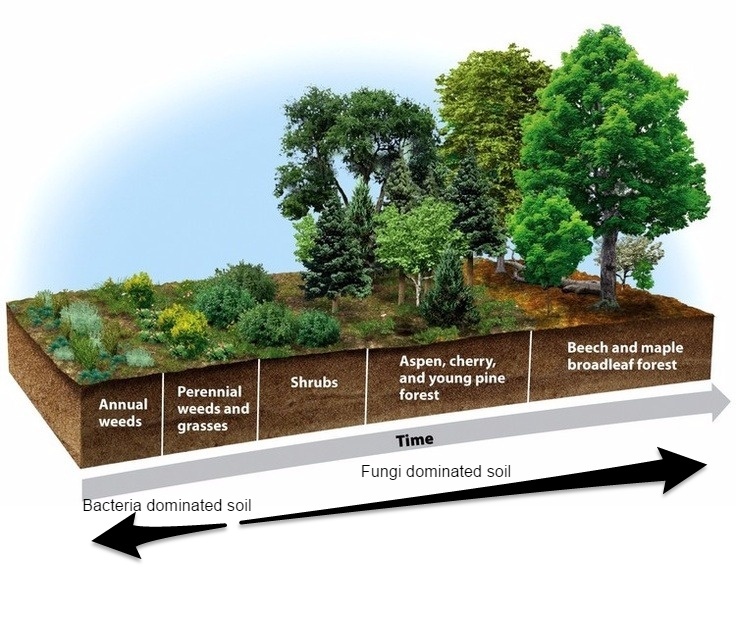 Ecological succession is a process of change in the species structure over time. The established species influence the soil composition and alter it over time. As you can see from my sketches there is a significant difference in soil found in the bare field than in the forest. The main difference lies in what kind of microbes are most prevalent in the soil and what they feed upon. Generally, fungi respond to surface decomposition, whereas bacteria prefer soil disturbance. The weight of fungi present in forest soils is much greater than the weight of bacteria. In grasslands, however, there is around an equal distribution of the two. In agricultural soils that are routinely tilled, in contrast, the weight of fungi is less than that of bacteria. But how does this apply to me, you may ask? Well, if you are trying to create a healthy pasture or self-fertilizing food forest, or even just a productive annual garden you will need to simulate the conditions where the intended plants are originally found. So, let’s look at three most common situations you’ll be faced with on your farm: annual gardens, grasslands and food forests, and see what steps you can take to bring your soil to life. 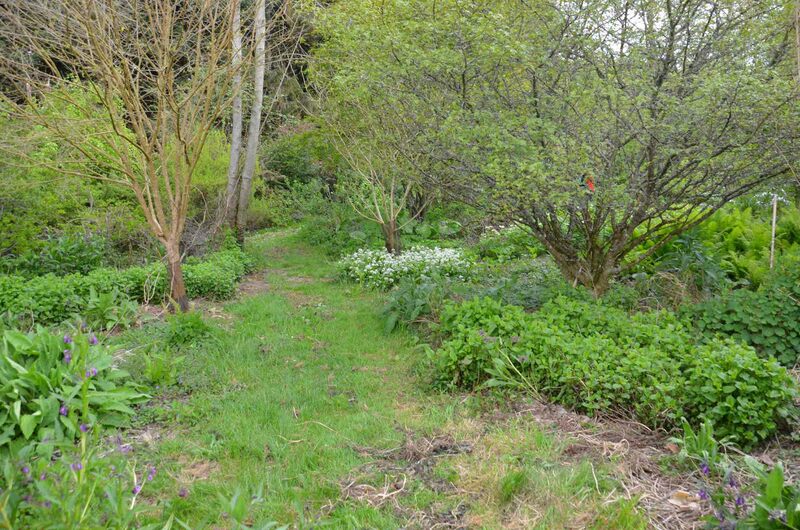 Want to improve your soil the permaculture way? Skip the guesswork and use this FREE Checklist as your reference. Annual plants colonize bare soil following a disturbance. As they wither and die at the end of their growing season their remains fall on the ground and act as mulch that bacteria and earthworms feed upon. This cycle repeats itself annually, with organic matter building and the creation of humus. 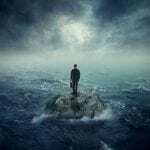 Here is what to do to replicate these conditions. As can be seen in nature, to establish annuals you have to intervene mechanically to prepare beds for crop planting and establishment. However, you don’t want till deep as you don’t want to disturb the soil structure. The undisturbed subsoil lets earthworms dig their tunnels and provides aeration and drainage while their exertions bind together crumbs of soil. They play an important role in healthy soil structure and replace mechanical with biological tillage. Good compost supplies both the organic matter for soil building and the fertilizer for the crops, and, most importantly, it’s packed with soil organisms that trigger biological activity. It inoculates your soil with microbes that will digest nutrients present in the soil and feed your plants. Compost is the key ingredient for building and maintaining healthy soil. Because of its special characteristics, compost cannot simply be replaced with manure, natural fertilizers or green manure.If you’ve just moved to a new garden and want productivity, then compost will rapidly make your soils fertile. Once you have your soil biology working for you, you need to feed it so it can feed your plants.There are a number of different ways to maintain soil organic matter in your annual garden. One of the easiest is using lawn grass clippings, leaves, straw or cover crops and, of course, compost. The mulch is then left on the surface to decompose. Adding this layer of organic matter and spreading it is, in effect, ‘composting in place’, where the garden beds become large composting areas. Then by the actions of earthworms, bacteria, fungi and insects, the organic matter is slowly broken down and released into the soil, providing nutrients to the garden. While all this sounds great if you are running a market garden operation, this kind of practice is restrictive and somewhat impractical. Here is what JM Fortier in his book The Market Gardener has to say: “Based on my experience, direct seeding into crop residues, mulch, or crimped down cover crops is not straightforward, causing unpredictable germination rates – a nightmare for any commercial grower.” Something we should bear in mind. With crop rotation you can actually mimic the diversity of annual plants growing on a bare field. Differing root systems among plants penetrate the soil to different depths, improving its structure. By ensuring crop diversity and alternating crops you allow soil to keep producing without being drained of its nutrients, while simultaneously eliminating a number of diseases and harmful insects that often occur when one species is continuously cropped. As we move in succession the perennial grasses are slowly taking over. Big herbivores are roaming in herds feeding off these grasses, trampling them down and fertilizing the soils. Over long periods of time organic matter simply built up and now we have fungi and mycelium with bacteria, equally represented. Unless you need to repair the compacted soil, poor drainage or have to do some initial tillage to sow the perennial cover, you should aim for no till, no compaction and lowest possible mechanical disturbance. Make your tillage minimal. Here the goal is the same as with an annual garden, enabling the biological tillage but also taking advantage of the mycorrhizal fungi which form symbiotic relationships with the roots, extending the plant’s root network. They also prevent pathogens, improve water use efficiency and the efficiency of absorbing other nutrients. If we look at perennial native ranges we can see they are permanently covered. So the first step to rebuilding soil structure and health of a grassland is to get it under perennial cover. This acts like armor for the soil. Bare soil is detrimental to its health, you only find bare soil in catastrophic events or where humans have imposed their will upon it. Cover crops are planted specifically to build and hold soil and to smother weeds. 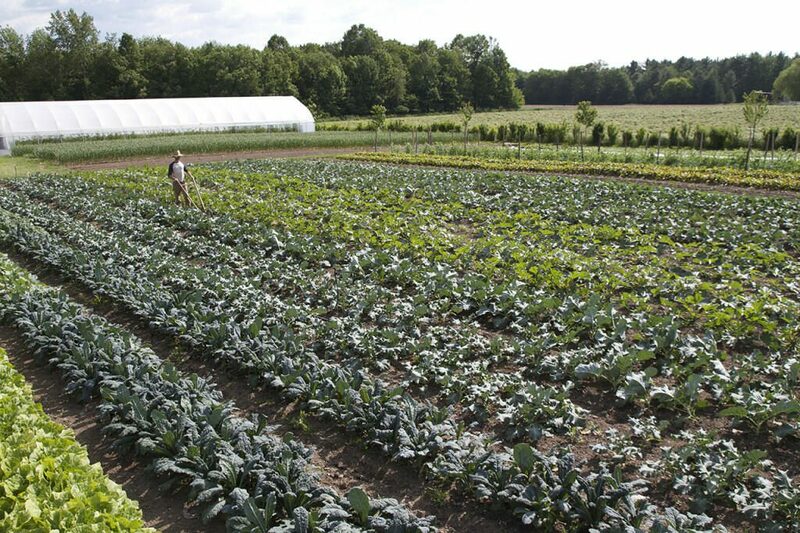 They range from long-growing perennials to short-term green manures but the aim is the same: a solid cover of plants. Their leaves will protect the soil from hammering rains and eventually their residue carpets the surface with nutritious, humus-building matter. Once again, if you look at native perennial ecosystems we can see diversity. Rather than resorting to one or two species of cover crops they should be seeded as multi-species combinations, through doing so, you are mimicking what nature does. You optimize solar energy collection as different plants have different shaped leaves. Because the roots penetrate to varying depths the mycorrhizal fungi are able to deliver moisture and nutrients from the different areas of the soil profile. You can design your cover crops to address whatever specific concerns you may wish: whether it’s protection of the soil as living mulches, adding organic matter as green manure, boosting fertility with N fixing legumes or dealing with compaction. Even if you are using your grassland for growing cash crops, you can maximize your profits by mixing in cover crops. Cover crops can be sown before, with, or after the cash crop. This way you have something growing all the time. In nature soils are formed in conjunction with herbivores. In this case through large herds of herbivores moving across the planes, but also by other local wildlife; rabbits, grasshoppers, and other insects. All of them are taking this forage, the biomass, and endlessly recycling it. Animals are an integral part of a healthy ecosystem. But how can they help you to build healthy soil? A prime example of building soil with big herbivores is the holistic planned grazing practice conducted by Allan Savory and others like Greg Judy. They use high-density animal herds that graze a paddock for one day before being moved to the next paddock. 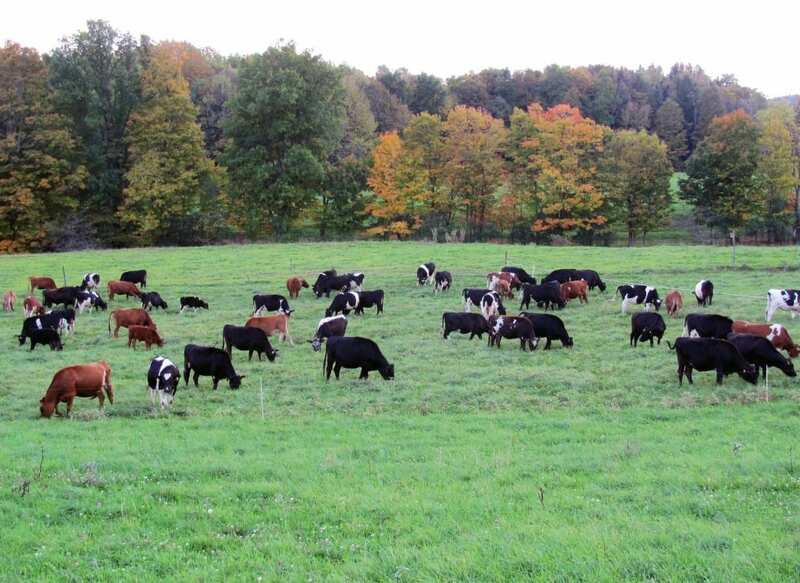 Joel Salatin has a similar technique, he has a grazing plan with a high-density herd impact followed by ample recovery time. The goal is for animals to consume a third of the grass in the paddock and trample the rest into the soil to feed earthworms and soil microbes, thus replicating the natural herds of large grazers that coevolved with grasses. With time every ecosystem will eventually end up forest-like. 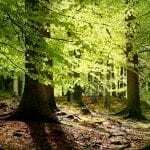 In a forest, organic matter in the form of fallen leaves, twigs and branches and dying plants, are all deposited on the forest floor, where they are decomposed into rich humus by the action of fungi and other organisms. Fungal fabrics, mycelium run through the top few inches and act as interfaces between plant roots and nutrients, bringing distant nutrients and moisture to the host plant, extending the absorption zone well beyond the root structure. No tree could reach maturity without this symbiotic relationship. If you are starting from scratch let’s see how you can transform bare land to a food forest. Preparing the soil prior to planting offers certain advantages. A year of cover cropping and woody mulching not only offers a chance to build organic matter and correct fertility imbalances but, most importantly, accelerates fungal dominance. Fruit trees generally prefer high-quality soil and that’s why it is particularly important to achieve a good layer of humus and to try to use as much biomass as possible on the soil. Following the initial tillage or sheet mulching, existing grasses will generally be ready for cover crops, preferably red or crimson clover as these two nitrogen-fixing legumes have a stronger affinity for mycorrhizal fungi. Other Legumes and dynamic accumulator plants are also acceptable, and all of these can be even oversown into existing grasses. Dip exposed roots of seedlings into water enriched with the spore mass of one or more mycorrhizal species. Broadcast spores onto the root zones of existing trees and shrubs, using spores in a water carrier. Place a little soil from the root zone of proven mushroom-producing trees around seedlings, either in the nursery or soon after planting. Inoculate the compost of pot-grown plants with a mixture of dried spores from suitable species. When planting trees or shrubs, scatter a dry spore mixture into the planting hole. Compost, deciduous wood chips, and other woody material can be added on top of the green manure crops. The woody material is what drives the fungal dominance you want for a healthy food forest. The goal, plain and simple, is to create what Michael Phillips in Holistic Orchard calls fungal duff – the litter layer where mineralization and humification take place through the action of fungi. Mulching with wood chips and chopping and dropping woody plant material on the ground helps mycorrhizae thrive, and it’s this fungal connection that provides the balanced nutrition necessary for a tree to better withstand disease. 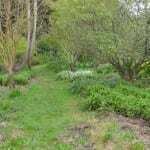 The self-fertilising nature of the food forest comes from the use of nitrogen-fixing plants along with other plants like comfrey that are particularly good at raising nutrients from the subsoil. Through their use efficient nutrient cycling develops in a forest-like system, maximizing fertility for other plants to grow. Nitrogen fixers are extremely useful fertility providers in a food forest. Techniques like ‘chop and drop’ mulches, coppicing and pollarding from these plants in particular can release the nutrients they have extracted over time from the earth or air. Simply having them shed leaves on the ground can improve fertility. There are many nitrogen fixing plants at each level of the food forest and I recommend reading Martin Crawford’s book for a comprehensive list. With each of the scenarios outlined above you are striving for the highest percent of organic matter in your soil and providing habitats for a high diversity of soil food web organisms. In an annual garden this would be geared more towards bacteria and in a forest garden more towards mycorrhizal fungi. The easiest way to know what your plants need is to ask yourself: “Where did the plant grow natively, Field or Forest? Depending on the type of system you wish to achieve, bring animals into the system in any way you can. They help with organic matter and nutrient cycling: earthworms, herbivores, poultry, all are integral to system health. And always remember nature is our greatest teacher, working in harmony with nature is always the best way to proceed, so whatever you’re planning to do always ask yourself: “What would nature do, how would this system I’m trying to set-up look naturally? And then adapt it to your circumstances. Hope this helps in your endeavors, let me know what you think in the comments!